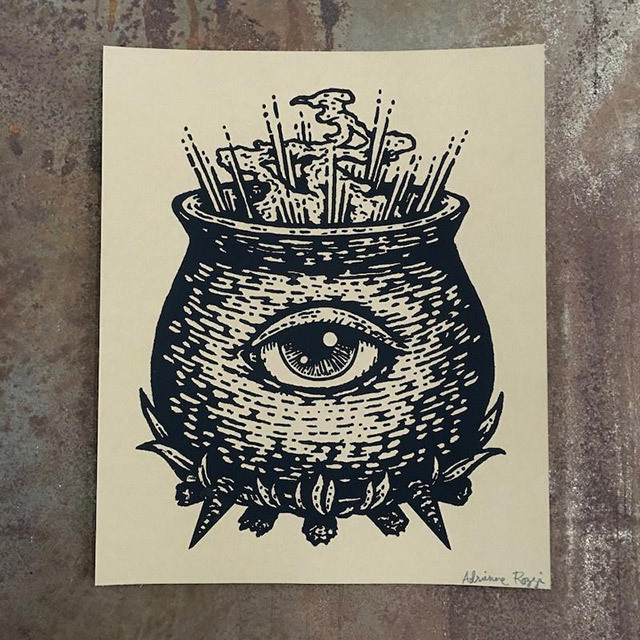 It’s that special time of year when we hope to find skulls, vintage occult artifacts, disturbing books, and mummified human remains under the tree…but end up with matching monogram socks and stationary, instead. 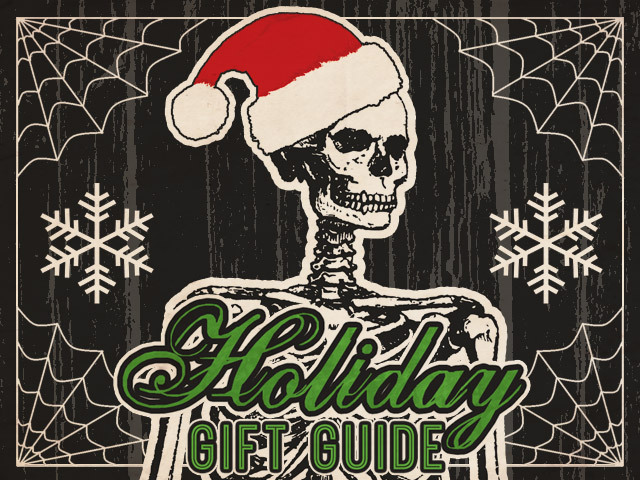 So this Christmas, whether you’re shopping for a weirdo, or you are the weirdo, the Cult of Weird holiday gift guide is here to ease your suffering. 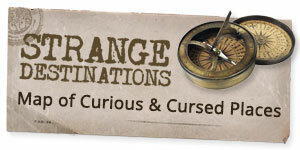 At least a little. 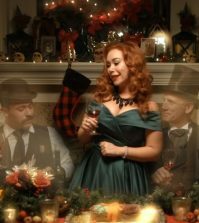 We can’t do much about the music and merriment. 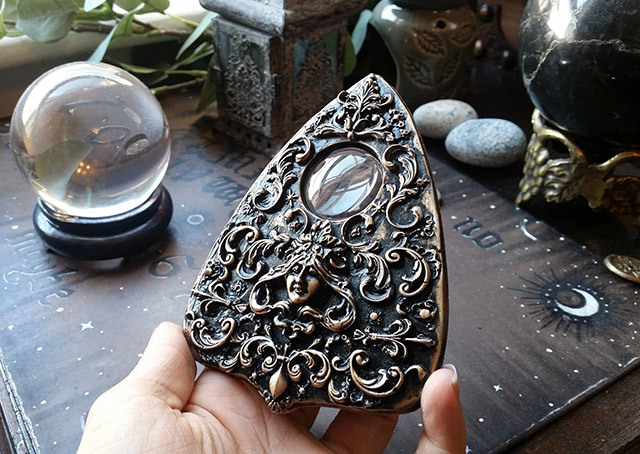 Contact the spirits in decadent style with this lavishly sculpted resin planchette with metallic finish. 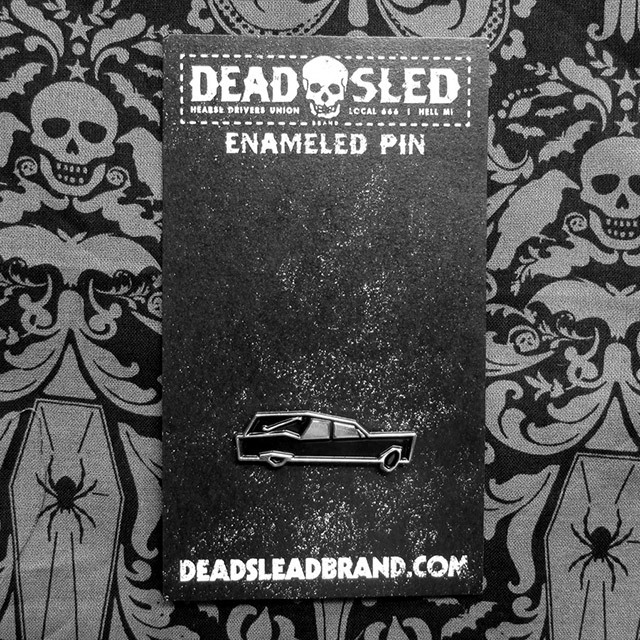 From my friends at Dead Sled Brand, this enameled black and silver hearse pin is perfect for the hearse driver or general death enthusiast whose corpse is cooling on your Christmas list this year. 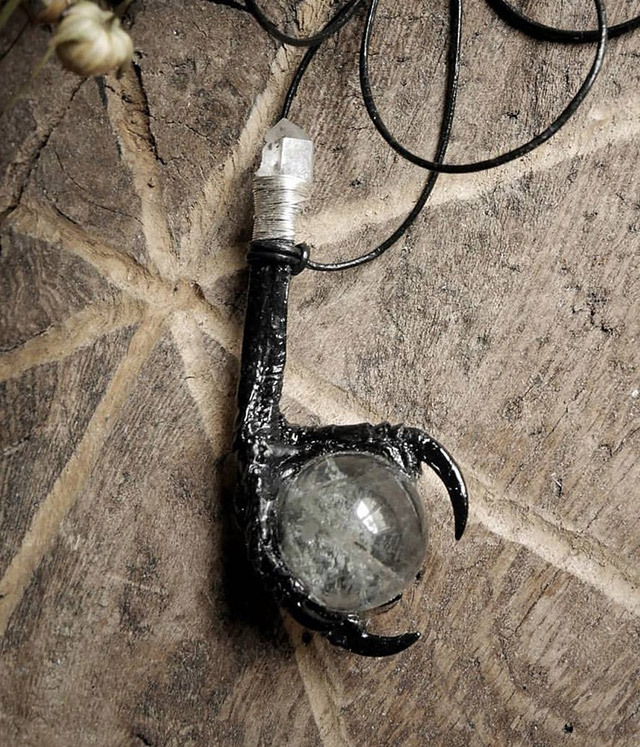 Conjure some Norse heathenry with this Freja pendant from Bloodreligion, featuring a preserved magpie foot clutching a quartz crystal sphere on black leather cord. 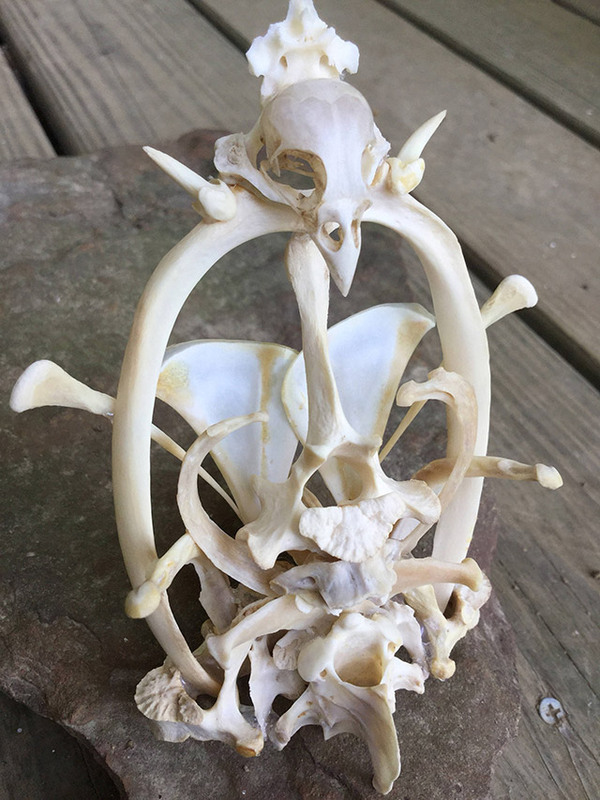 Created by Lee Harper of History Bones, this small, intricate bone sculpture includes a variety of real animal bones, including a bird skull. 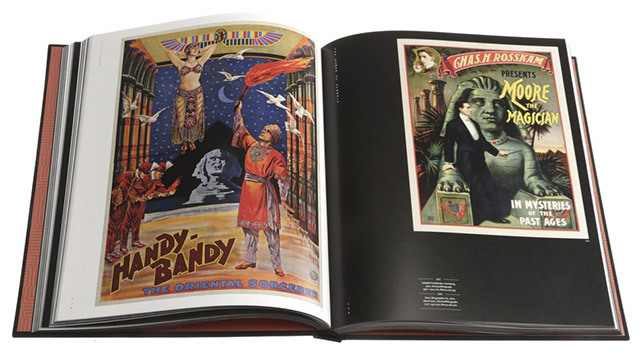 This book brings together 250 vintage ad posters from the Golden Age of Magic, featuring dark and mystical imagery – devils, skulls, spirits – to promote the acts of Herrmanns, Kellar, Thurston, Houdini, and more. 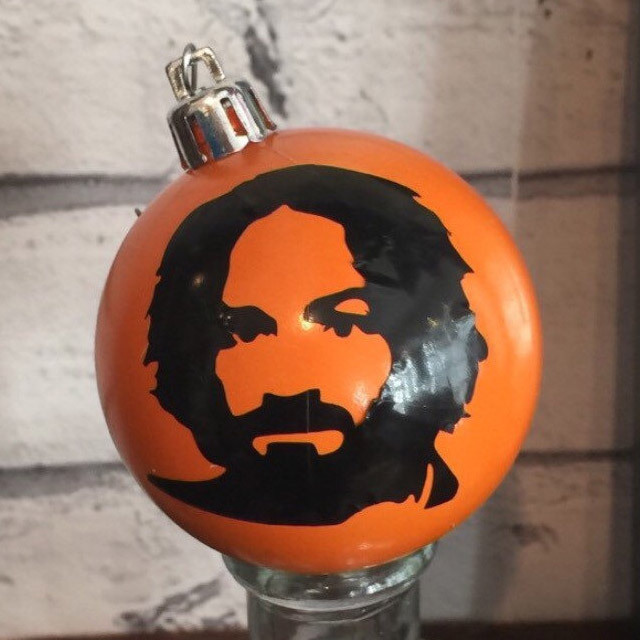 ‘Tis the season for obscene Christmas ornaments, and with the recent passing of America’s favorite madman cult leader, this seems appropriate. 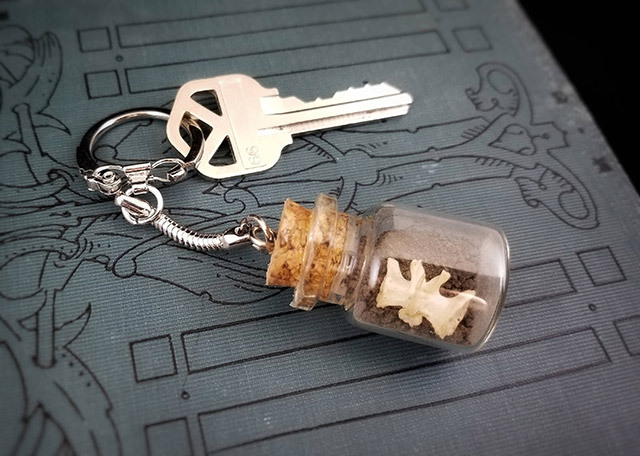 Nothing says Merry Christmas like a keychain containing a small animal bone and actual dirt from an old cemetery. 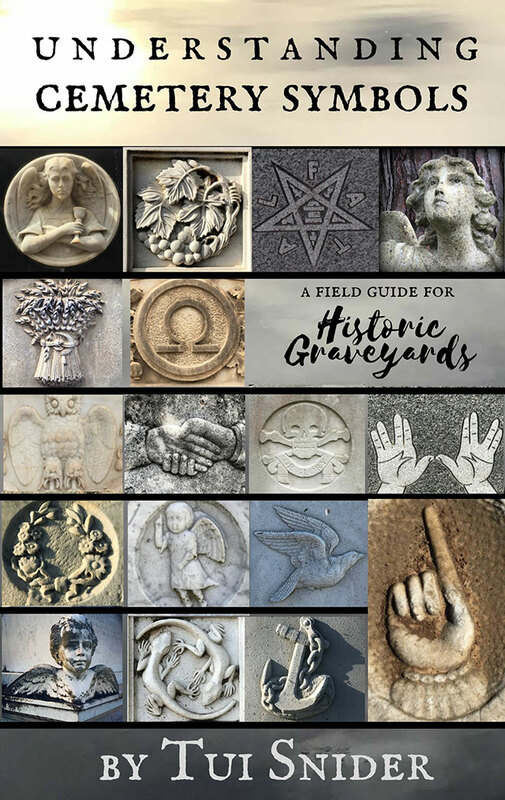 While wandering around those cemeteries, this guide will help your favorite taphophiliac decipher the meaning of the symbolism found on gravestones. 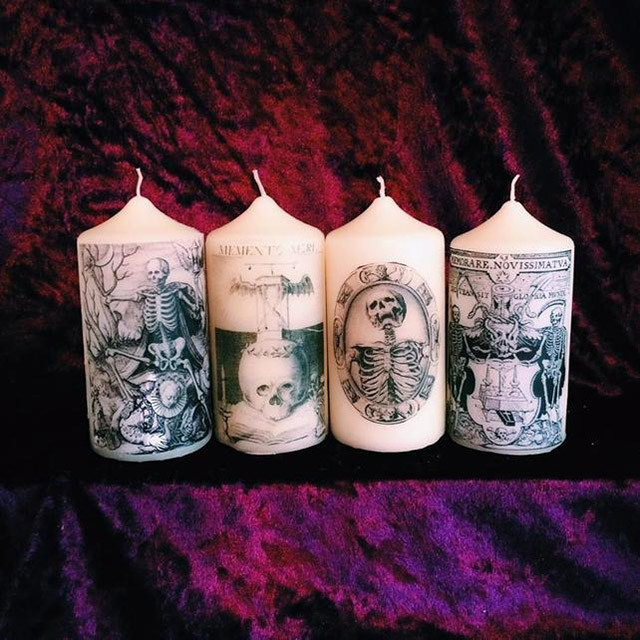 Ponder mortality with these ivory pillar candles featuring vintage memento mori imagery. 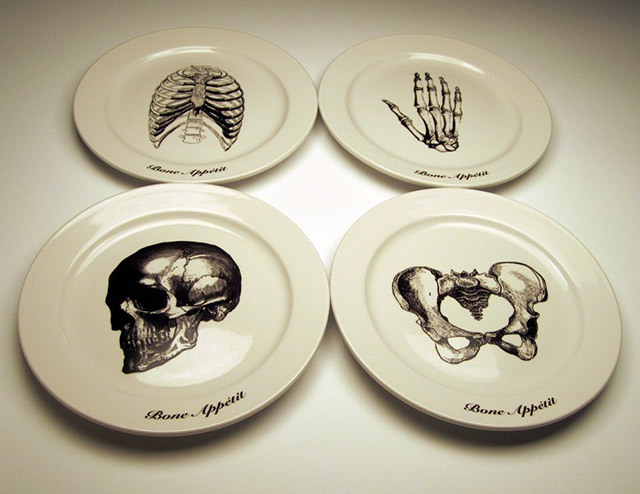 Dine with the dead with a set of four ceramic 9-inch dinner plates emblazoned with skeletal human remains. 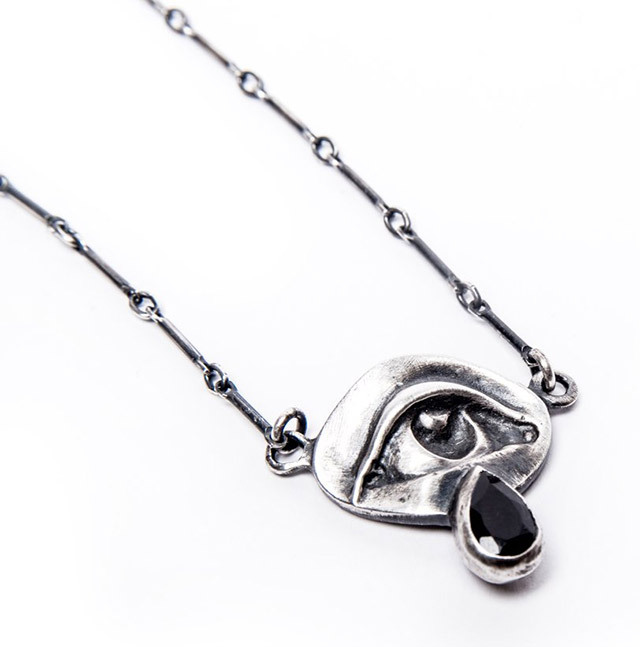 This talisman from Bloodmilk Jewels features a sterling silver eye with an onxy tear for comfort and protection. 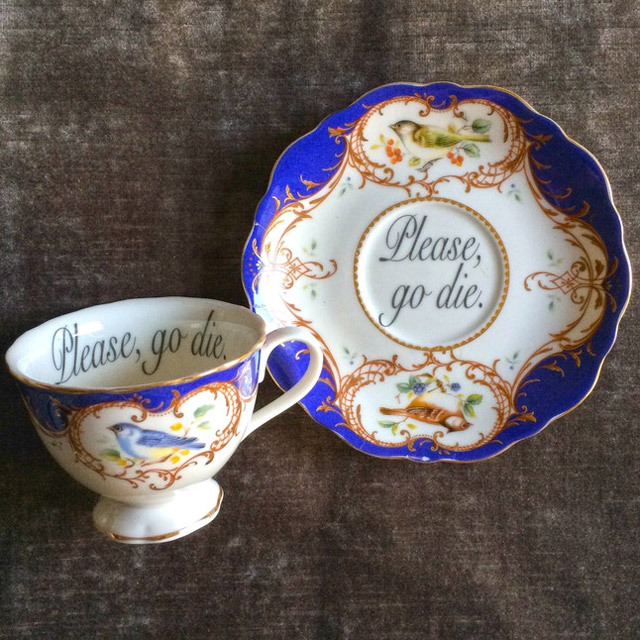 Speak your mind with a fancy insult teacup and saucer from Miss Havisham’s Curiosities. 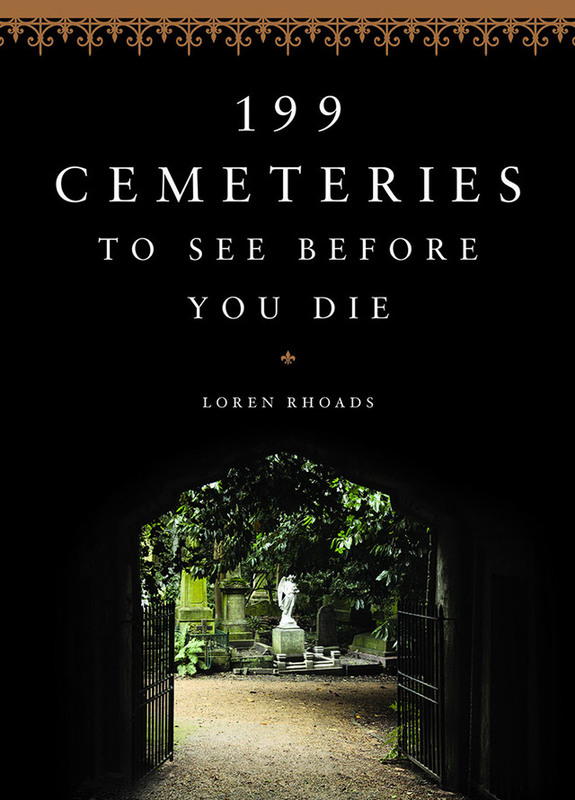 This collection of 18 short tales of the “fantastic, terrifying, and just plain weird” by author Collin Landis is the perfect addition to bookshelf of weird fiction fans. 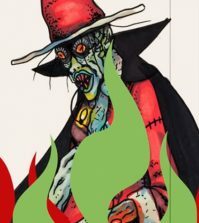 It was dead when we met! 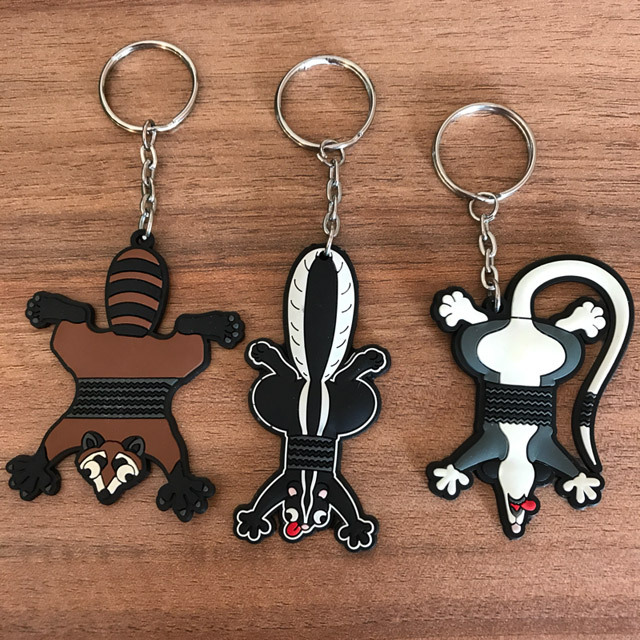 These keychains from Asylum Artwork are the perfect stocking stuffers for the ethical taxidermist or roadkill enthusiast in your life. 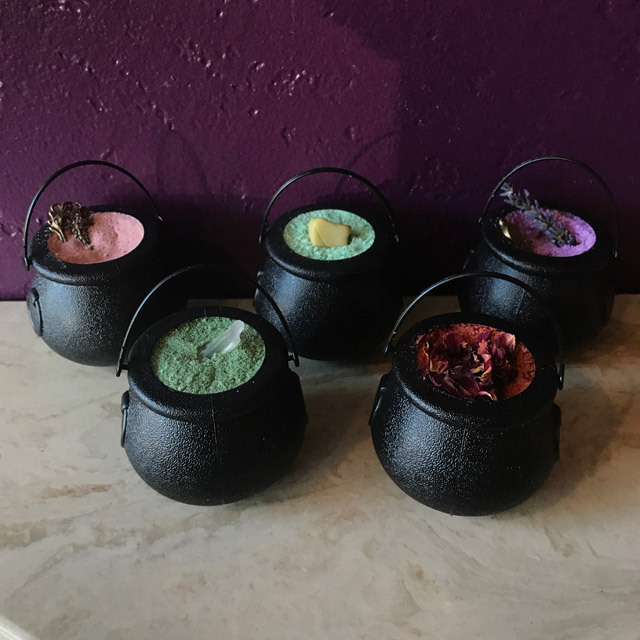 Handmade bath bombs from The Strange and Unusual Oddities Parlor, made with natural ingredients and include small keepsakes inside. 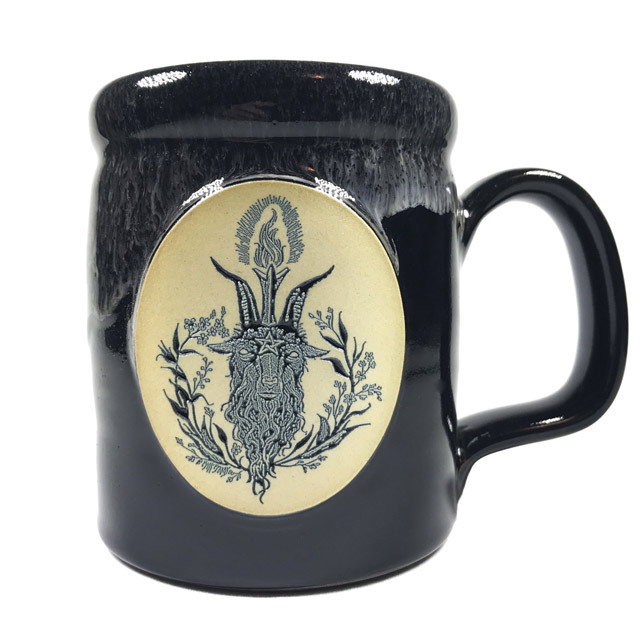 This Baphomet mug was designed Matthew Murray of The Black Veil Studio for The Satanic Temple. 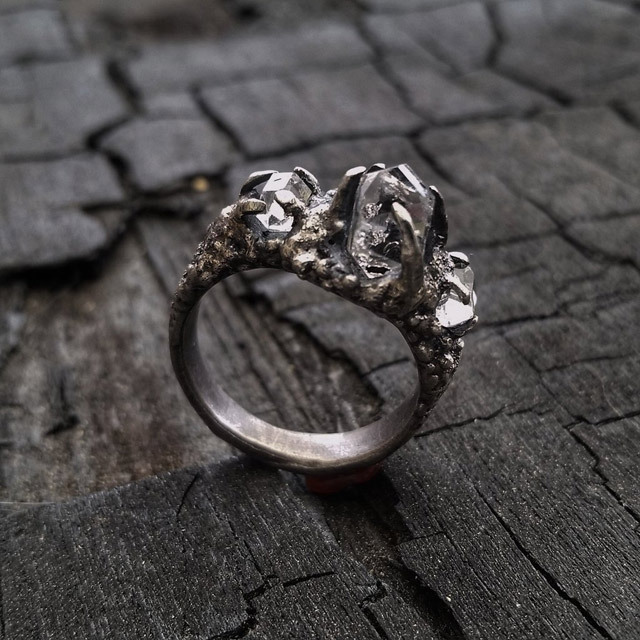 Handmade to order by The Small Beast, the Stardust Ring features a highly textured, hand-carved sterling silver ring with 3 raw Herkimer diamonds held in claw settings. 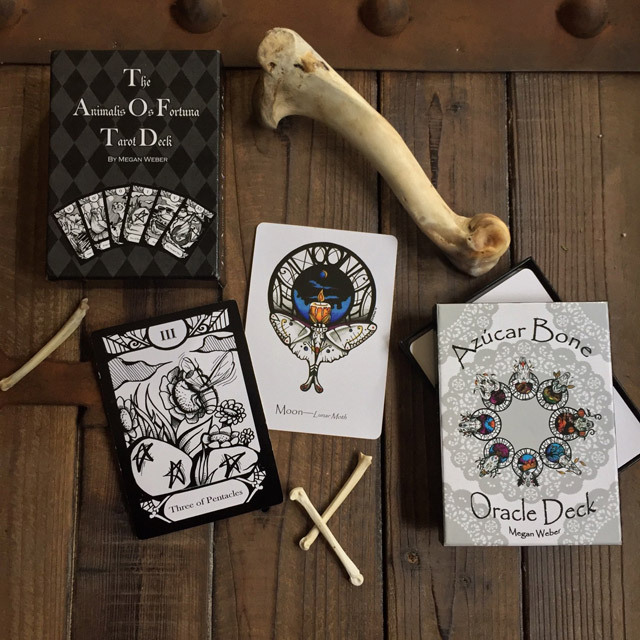 Animalis Os Fortuna tarot deck and Azúcar Bone Oracle deck with companion books featuring original artwork by Megan Weber of Zaheroux. 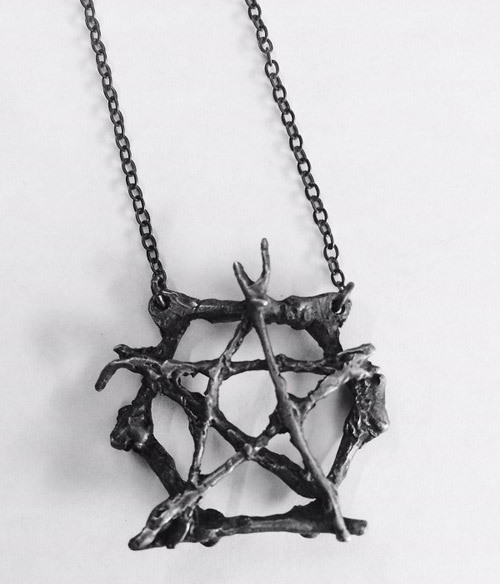 A sterling silver twig pentacle on antiqued chain from Burial Ground. 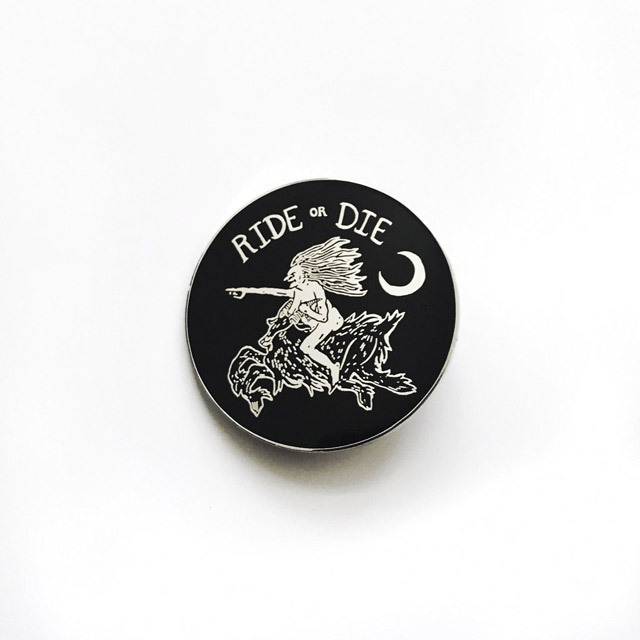 Ride or Die cloisonné pin featuring a witch riding a goat by Salem, MA artist Bill Crisafi. 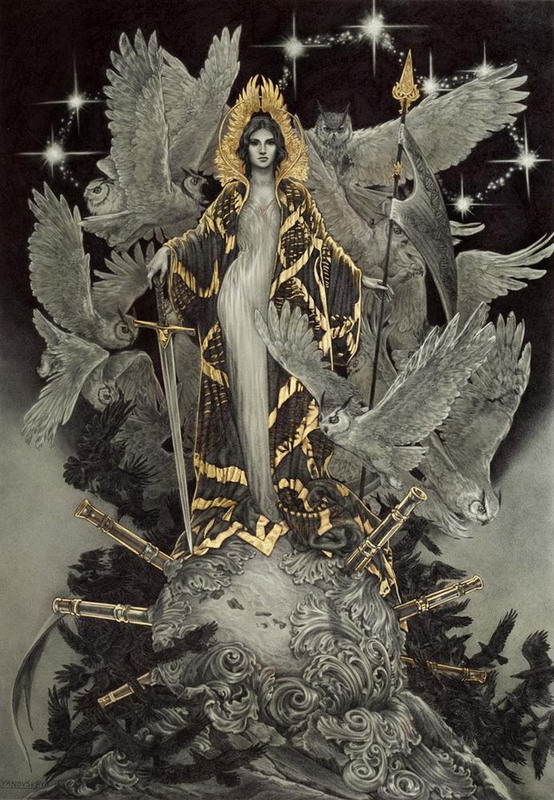 Gallery-quality giclée print of “Wisdom,” an original ballpoint open and gold leaf work by artist Rebecca Yanovskaya. 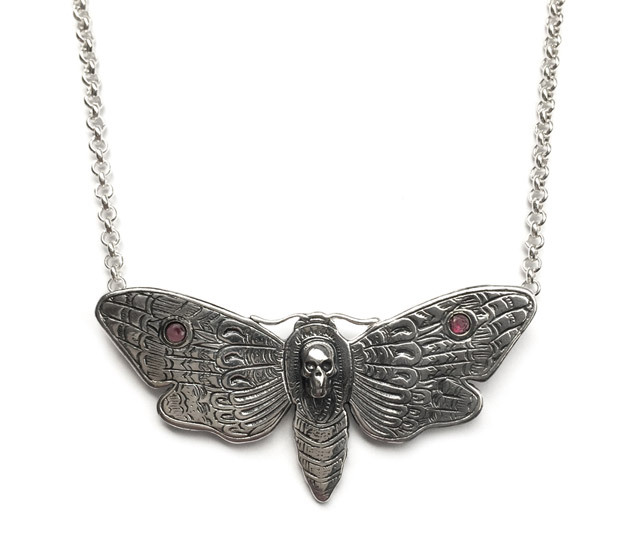 Mortuus pendant with magical garnets in the wings from Bloody Mary Metal. 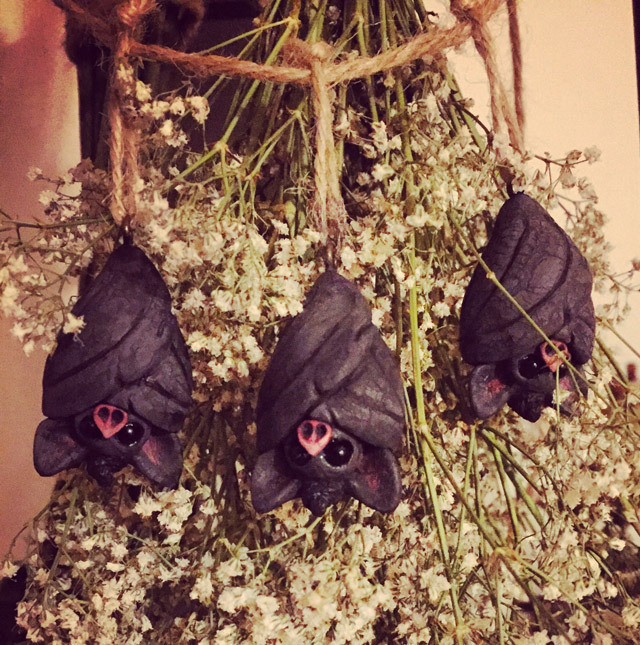 These small bat figurines from The Bleep Bloop Shop would make the perfect addition to the gothic Christmas tree this year. 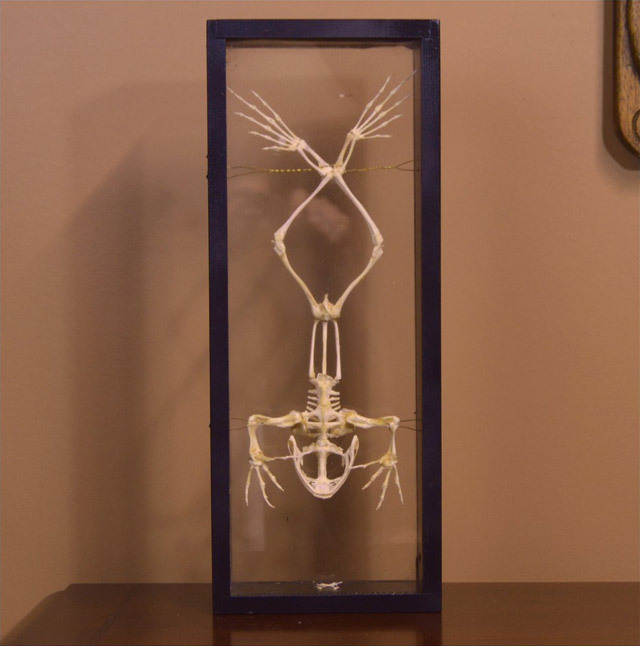 A genuine articulated bullfrog skeleton in display case from Hammer and Bone. 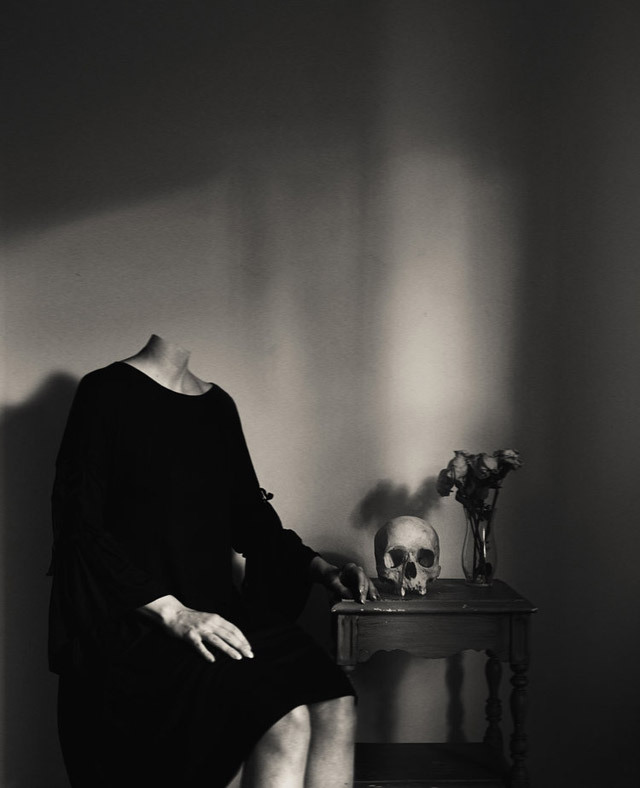 This is one of many beautiful and haunting works by Crystal Lee Lucas available on her website. 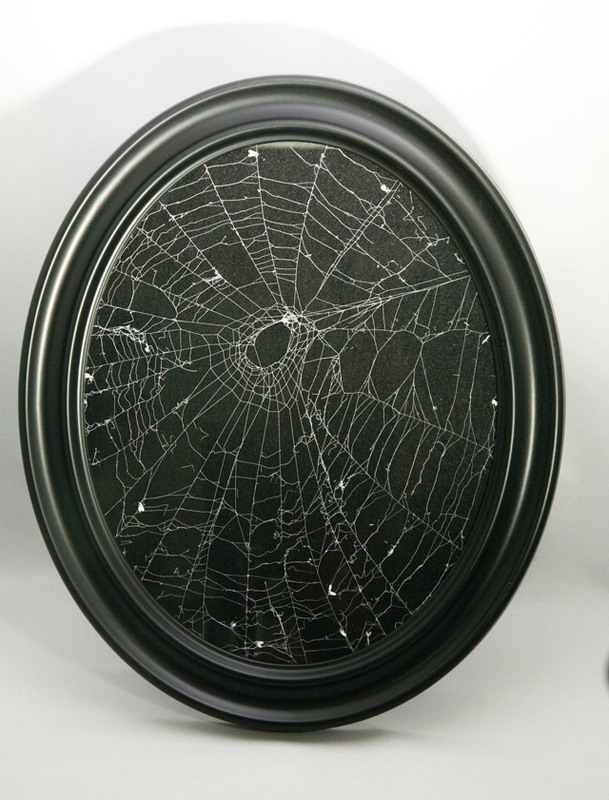 A real preserved spider web in a black oval frame from Half Embalmed. 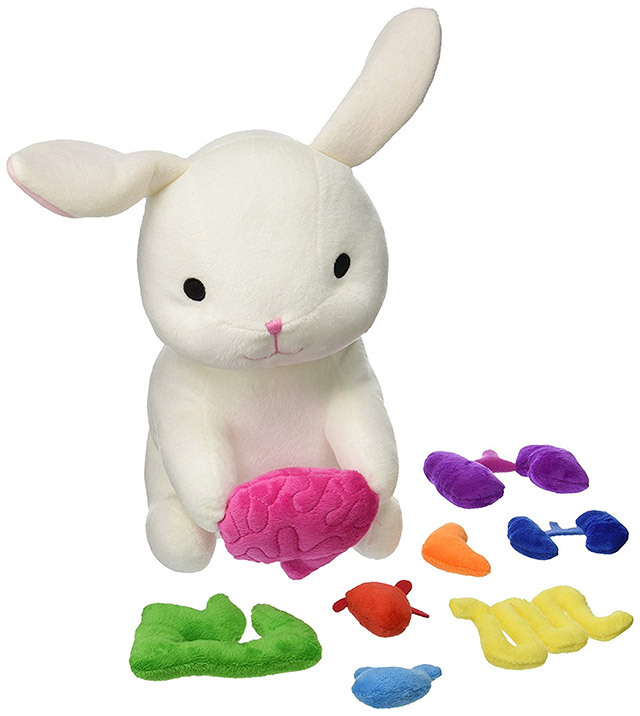 Giblets the white plush bunny holds it’s own brain, and opens up so you can remove other organs. 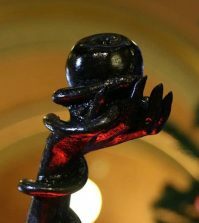 Best stocking stuffer ever. 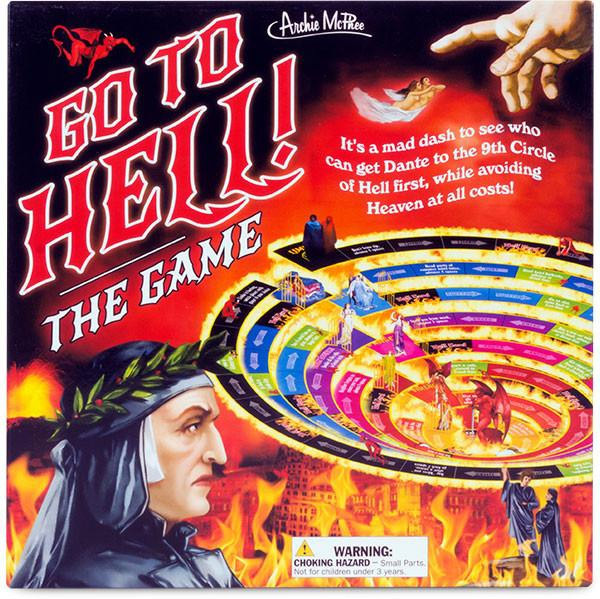 Try to avoid Heaven as you navigate Dante through the 7 deadly sins in a race to the 9th circle of Hell. 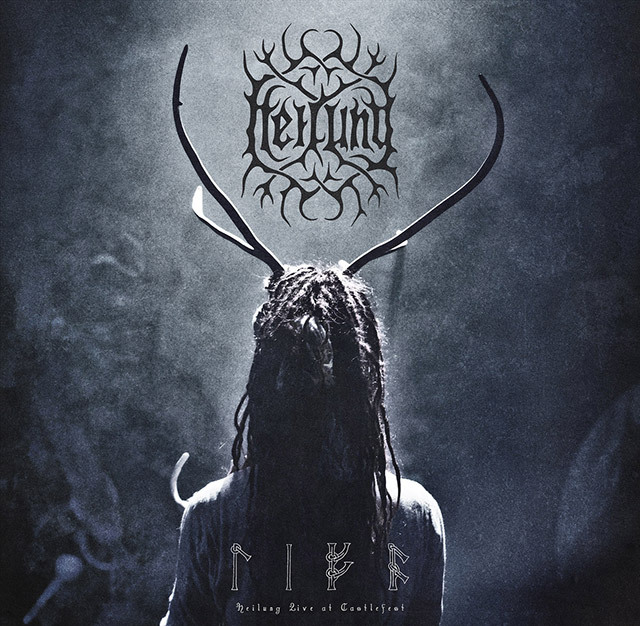 Download the full live performance of neofolk band Heilung’s hypnotic live debut at Castlefest 2017. 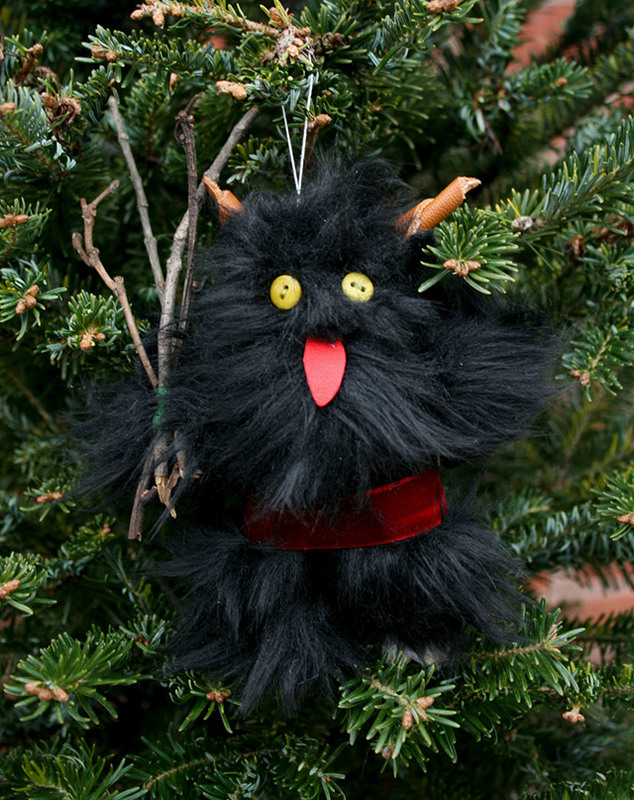 An adorable Krampus for your Christmas tree, complete with a switches for punishing anyone who’s been naughty. 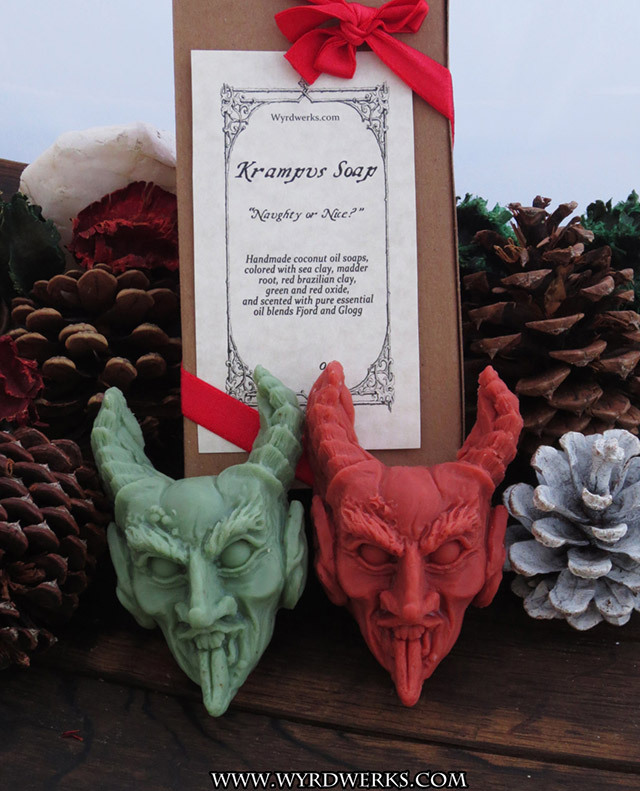 These “anti-claus” stocking stuffers are made with 100% coconut oil and come in two different scents: Fjord and Glogg. 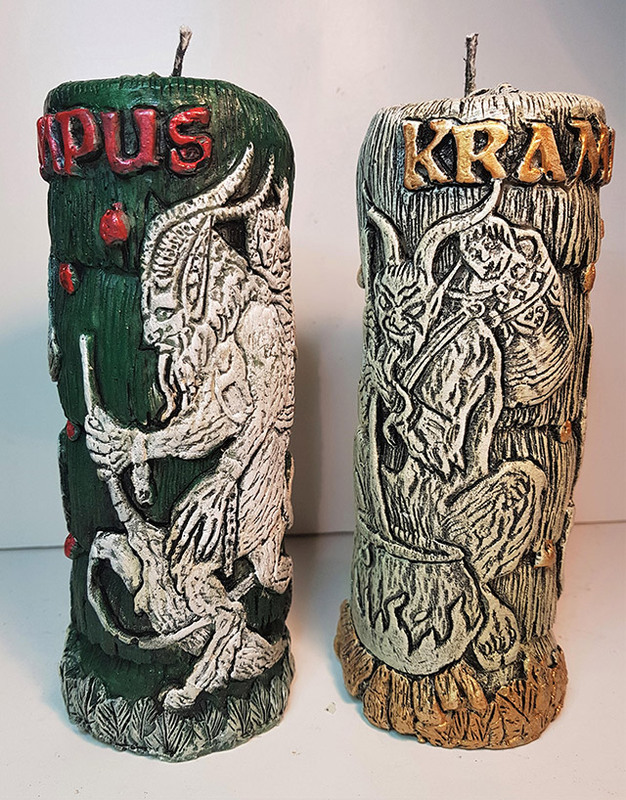 Illuminate your Christmas festivities with these Mulled Wine-scented soy candles from Heathen Wax Works featuring the beloved Christmas devil himself. 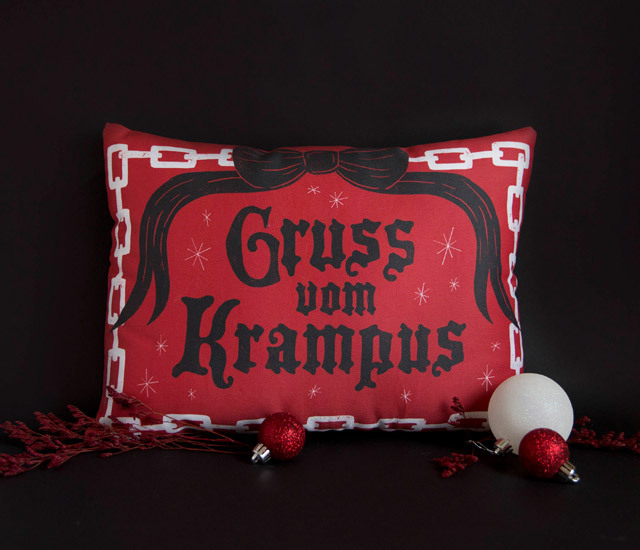 Red and black Krampus throw pillow inspired by vintage Gruss vom Krampus postcards. 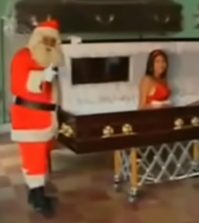 Share your weird Christmas with us on Instagram! 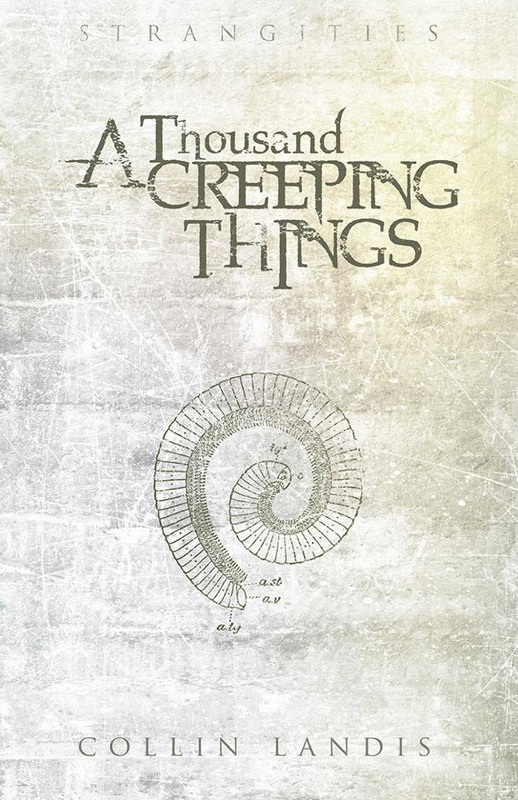 Throw a Santa hat on something strange and tag your photo #MerryCultmas.